THE SPINS are an Italian pop/rock outfit headed by Alessia Mattalia, arguably Europes best known female drummer having done session work for Jeff Beck and particularly noted for her drumming on Jeff Beck's Grammy Award winning track ‘HAMMERHEAD’ featured on the album ‘Emotion and Commotion’. Their EP ‘Hello Baby’ reached #14 in RadioWaveMonitor Electronic/Dance charts and the video won a special prize at the Chicago Planet Ant Film and Video Festival. The recording and production of the single ‘Never Let it Go’ was split between the UK and the US, with drums and vocals recorded here at Prism Studio and produced by Stuart Epps (Elton John, Led Zeppelin, Oasis and Chris Rea). Stuart even provided backing vocals. Grammy Award winning Producer Jeff Bova (Celine Dion, Michael Jackson, Eric Clapton, and Billy Joel) completed the recording and production in his studio in LA, adding his own keyboards to the track. Having previously successfully toured the UK twice, the band are set to tour these shores again later this year. 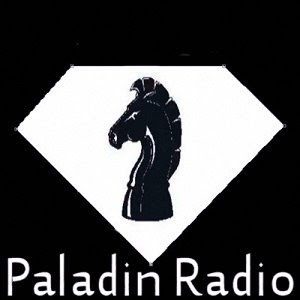 Paladin radio is very happy to be adding this great band to our rotation and to again bring a high level of international talent such as the Spins to the world market tune in and support this great group. We will be keeping a close eye on them and be expecting more great music to come.